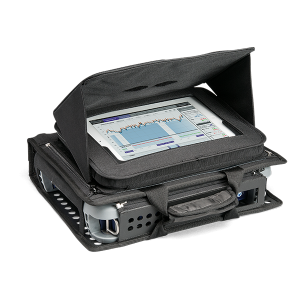 The VSE-1100 is the industry’s first converged digital spectrum video analyzer and noise-troubleshooting platform designed for the challenges of the converged cable access platform (CCAP) and remote PHY evolution. The VSE-1100 helps cable service providers maintain optimal network performance with video and spectrum analysis for fast and easy preventive maintenance and troubleshooting. Innovative upstream test modes speed troubleshooting to shorten mean time to repair. A tablet user interface and measurement engine simplify operation and remote test capabilities.